South Carolina Communities Venture Out and Find It! 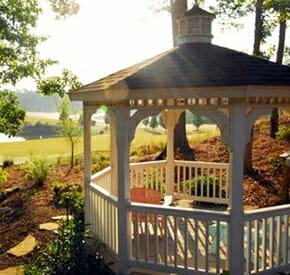 Select all the South Carolina Communities You Are Interested in Touring. Dataw Island, a private golf club on the coast of South Carolina near Beaufort, is bustling with activity under the beauty of centuries-old live oaks draped with Spanish moss. Its intriguing blend of amenities are equally active and relaxing, from golf on two courses to a day at the spa. The Sweetgrass Restaurant and Bar offers a menu of fresh, local seafood you can enjoy while overlooking the marina. Enjoy a 3-day/2-night stay with accommodations, unlimited golf and tennis, Community Center access, complimentary meal, island tour and more, for $435. Once a private plantation, Pinckney Retreat is rooted in history with a charming coastal setting. 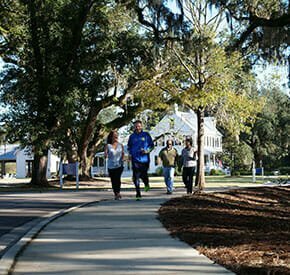 Among its pristine grounds you’ll find a pool with covered grilling area, a community pier and day dock with canoes and kayaks, and a network of walking trails that wind through antebellum gardens and community green spaces. A variety of shops, dining and festivals are just 7 miles away in Beaufort. Enjoy 3-day/2-night accommodations, use of the pool, canoes, kayaks, bikes and trails, a property tour and a special purchase incentive for just $199. 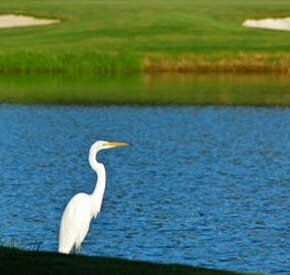 Not far from the world-renowned golf and beach resort Hilton Head Island, Hilton Head Lakes is a community full of opportunity. Built around freshwater lakes and canals with twenty miles of shoreline, this unique boatable retreat is perfect for boating, kayaking and fishing. 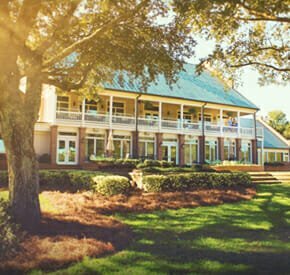 The Tommy Fazio golf course and The Lake Club with pool, fitness center and private beach only add to the Lowcountry gem. For $149, you can experience the community and the surrounding area, and see just what makes Hilton Head Lakes the perfect place to call home. Mount Vintage is a private community not far from Aiken, South Carolina and Augusta, Georgia. It sits on vast acreage of gently rolling hills, creating a beautiful, peaceful setting. The 27-hole golf course flows perfectly with the landscape, and the clubhouse is centered on a fully restored piedmont plantation house. Mix in a pool, tennis courts, fitness center, shopping and entertainment, and you have all you need. 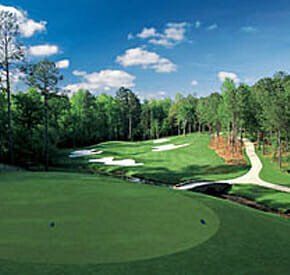 Enjoy 2-night accommodations, round of golf, access to Town Center/Athletic Club facilities, lunch and private guided community tour for $100. Tucked at the base of the Blue Ridge Mountains in Salem, South Carolina, Keowee Key brings you a mountain and lake lifestyle like no other. 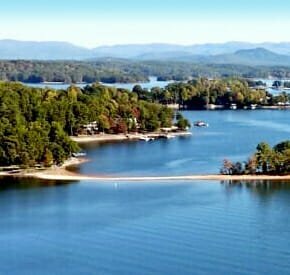 Surrounded by Lake Keowee, boating, fishing and other water activities are at your fingertips. An enticing array of amenities, like pickleball, tennis and a fitness center strive to keep you active. And custom-built homes offer equally stunning lake, mountain and golf course views. Enjoy 3-day/2-night accommodations, round of golf, afternoon Pontoon ride, dinner and a VIP tour of the community and amenities for $299. 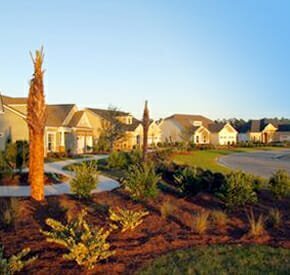 Imagine lush landscaping, exquisite amenities and resort coastal living, and you’ll find yourself at Grande Dunes. Located in the heart of Myrtle Beach, you’re surrounded by gorgeous water views that are also easily accessible. Whether you indulge in a game of golf or tennis, a relaxing swim or a day on the beach, you can do it here. And when you venture outside the gates, Myrtle Beach is teeming with attractions and activities for you to experience. 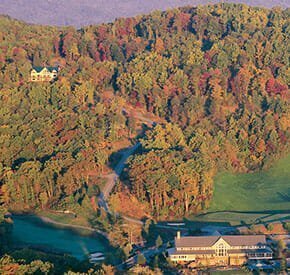 Enjoy 3-day/2-night accommodations, membership access, dining and private tour for $495. 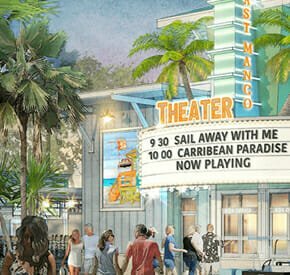 CityWalk is a park-like neighborhood located in the Lowcountry, waterfront gem of Beaufort South Carolina. In just a short walk you’ll be among shops, restaurants, art galleries and everything else its downtown setting has to offer. The completed marsh front trails and parks allow you to stroll through nature. A wide range of floorplans are available, making it easy to choose the perfect home for you. Enjoy a 3-day/2-night stay with property tour and special purchase incentives for $199. 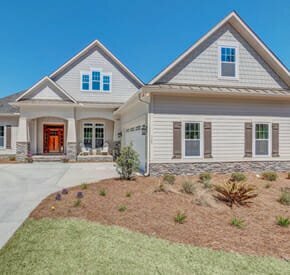 Woodside, a gated community just minutes from historic Aiken, South Carolina, mixes quaint southern charm with luxurious amenities for a lifestyle like no other. 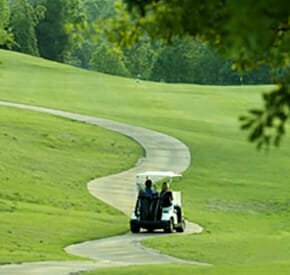 Three 18-hole golf courses are entwined with stunning vistas and rolling terrain, giving you a golf game that’s as beautiful as it is fun. Other amenities like hiking trails, water activities and resort pool further enhance the appeal. 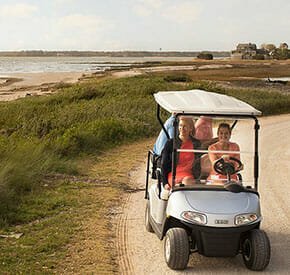 For $199 you can enjoy 3-day/2-night accommodations, dining, round of golf, trolley tour, guest passes for amenities and a private, guided tour of the community. 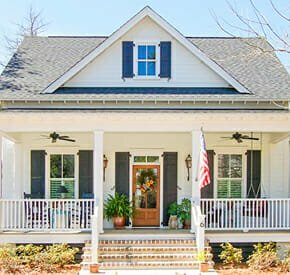 Located in the heart of Charleston, Carnes Crossroads offers the charm of some of the finest Southern towns. Its traditional neighborhoods with tree-lined streets provide a great setting for people in any part of life, from young families to retirement years. 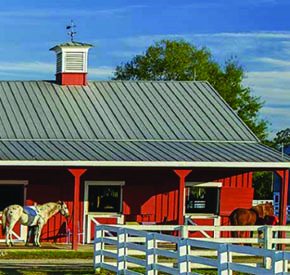 The community’s historic Green Barn hosts the Farmer’s Market, live concerts and social gatherings. Come relax by the beach-entry pool or swim some laps in the 25-meter lap lanes, or just stroll along one of the walking trails. Contact Carnes Crossroads for discovery package details. Daniel Island, located in Charleston, South Carolina, offers a charming, small-town atmosphere and stunning coastal setting. Neighbors are friends, and the options for involvement are endless. The award-winning Tom Fazio and Rees Jones-designed golf courses entice with their incredible views. The country club hums with activity, whether it’s swimming, tennis or fitness. Indoor and outdoor dining options are complemented by delicious menus full of Lowcountry favorites. And there’s always Charleston. Contact Daniel Island for discovery package details. 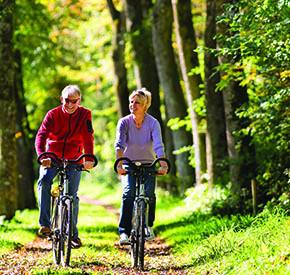 Lakes of Cane Bay is a 55+ community located in Summerville, South Carolina. Its lakefront setting sets the stage, offering an abundance of water activities like fishing, kayaking and paddle boarding. The amenities complex hosts more recreational options, whether it’s a giame of pickleball or a dip in the resort-style pools. Outside the gates just a short drive away, the historic city of Charleston offers its charm as well as shopping, dining and other entertainment. Come for a visit! Contact Lakes of Cane Bay for discovery package details.